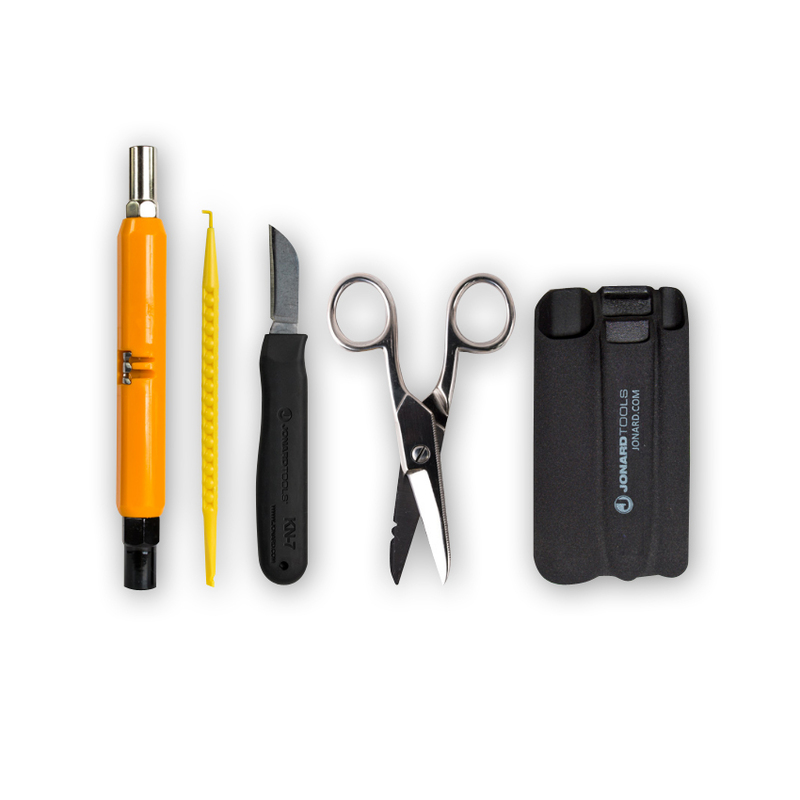 The perfect kit for simple installations - includes the basic necessities. - This three piece fiber optic kit features a three hole fiber optic stripper. - This tool strips the 2-3mm fiber jacket, strips the 900 micron buffer coating and the 250 micron coating down to the glass fiber. 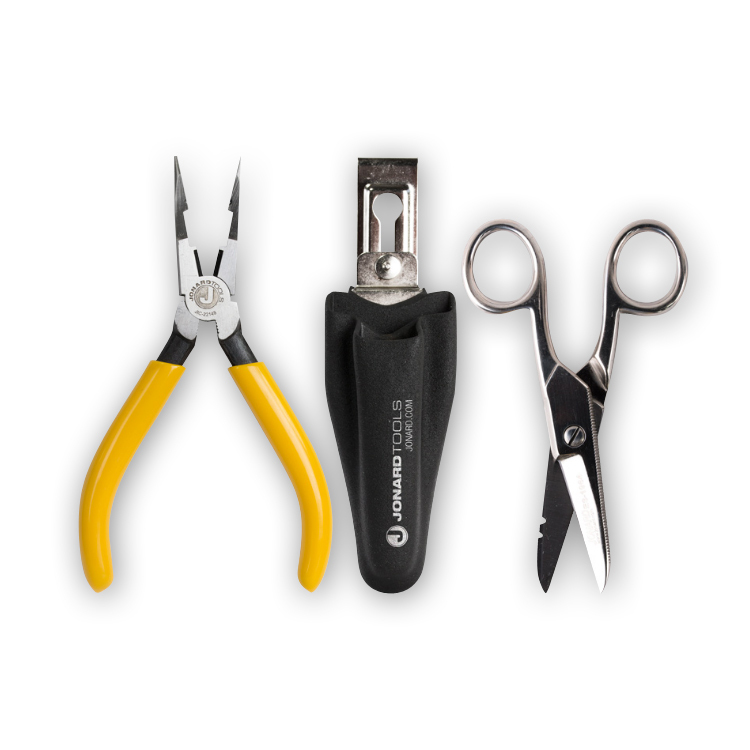 - The kit also includes scissors to cut the kevlar and other fiber cables. - Both tools fit neatly in a molded plastic pouch. 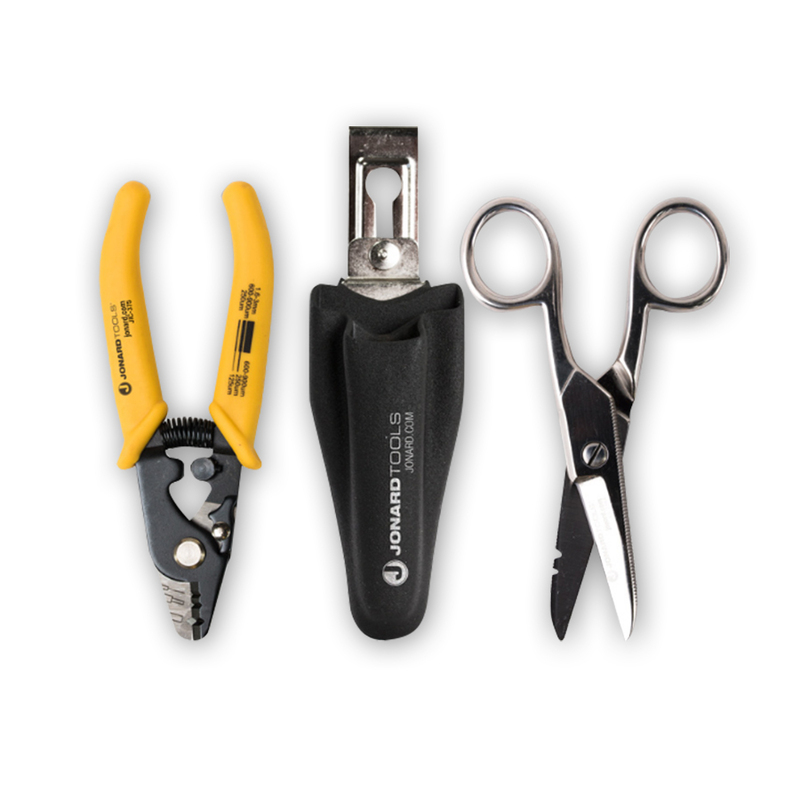 Designed for stripping, splicing and crimping. The perfect kit for telephone installers.